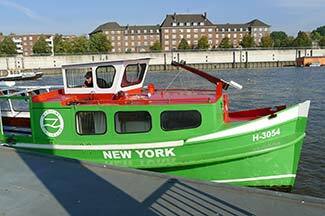 The Maritime Circle Line's shuttle boat will drop you off at the "Ballinstadt" pier in front of the museum. 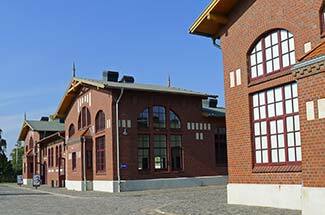 From the boat landing, follow the short path to the museum and enter via the glassed-in pavilion between the Emigrant Halls. 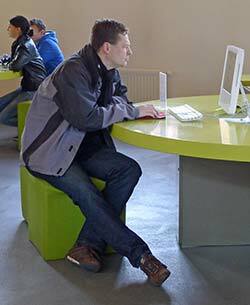 The Emigrant Halls are Ballinstadt's star attractions. 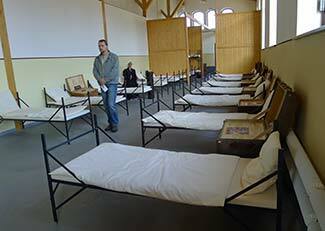 These dormitories (one restored, three reconstructed) house most of the museum's exhibits. 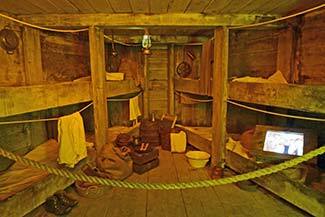 In one of the halls, you can see what the emigrant dormitories looked like in Ballinstadt's heyday. 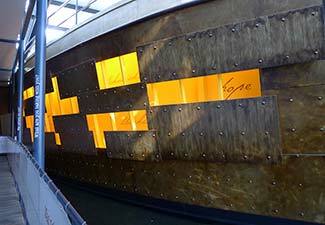 A stylized ship's replica leads to a series of exhibits that portray life aboard an immigrant ship. Most emigrants were poor, but those with more money could travel comfortably in second class. 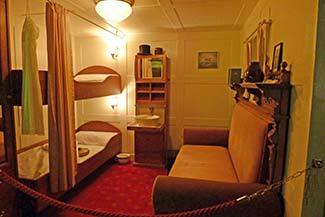 (This exhibit replicates a HAPAG stateroom from the 20th Century. When they reached Ellis Island in New York Harbor, immigrants were confronted with a list of questions. Some of the questions were easy to answer (name, age, gender), but others were "catch questions" that could lead to deportation if answered incorrectly. 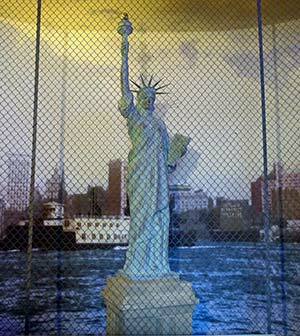 This display of the Statue of Liberty behind wire fencing symbolizes the "so near and yet so far" feelings that immigrants often had when they reached New York Harbor and weren't yet able to experience the land of their dreams. Ballinstadt served hearty fare to its emigrant clientele, and today's museum continues that tradition. 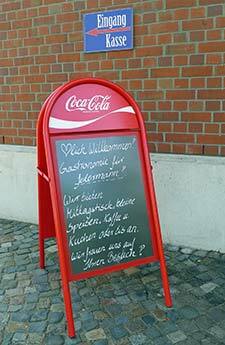 The informal "Nach Amerika" restaurant is decorated to resemble the Ballinstadt dining halls of yesteryear, with a menu that offers traditional Hamburg dishes along with sausages, schnitzels, pastries, and other modern-day edibles.